A mole is a sometimes-aquatic mammal with hand-like paws and claws, and long fur that stretches over the eye. Moles can often be found digging underneath large, grassy areas, where they feed on worms and snails underground. 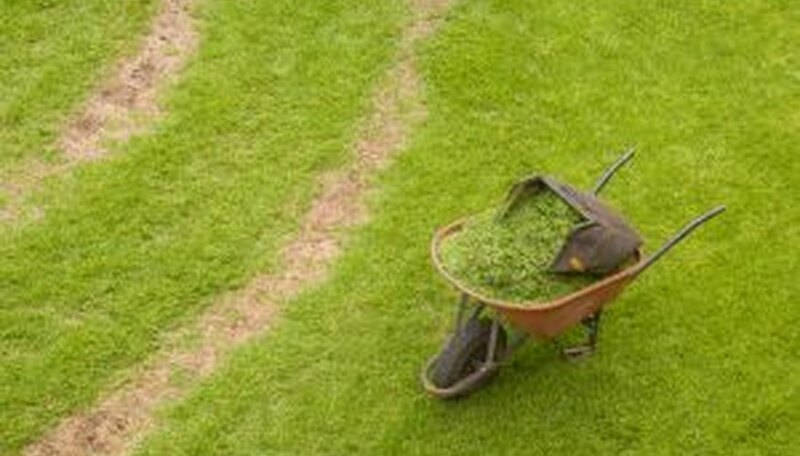 Moles can wreak havoc on a beautiful lawn, and they can be difficult to get rid of naturally, without doing any harm to the moles. There are a few home remedies you can try to drive moles away from your lawn without injuring or killing them. Plant mole plants, daffodils and marigolds around the perimeter of your yard. You can purchase these plants at your local nursery or warehouse hardware store. If your yard has soil that is not prime for planting these plants, purchase a bag of topsoil to mix with your soil to promote growth. Mole plants, daffodils and marigolds have a scent and taste that is unattractive to moles and will eventually drive them away. Place mothballs in the yard. Place a handful of moth balls in areas that you have seen moles. If you see any holes dug by moles, drop a few mothballs into each hole. Moles do not like the taste or smell of mothballs and will avoid them, leaving your yard as a not-so-desirable place to stay in. Get rid of the food source. Moles eat worms and grubs, and will burrow deep down into your garden and yard to find. One way to get rid of moles in your yard is to get rid of worms in the ground. A home remedy to get rid of worms in the garden is to sprinkle cornmeal on your lawn, which makes worms look for a moister environment. Purchase cornmeal at your local grocery store. Increase the amount of time you water the lawn. Moles will avoid paths that are waterlogged, and will dig deeper or bypass your yard completely to avoid the water. Pour castor oil in the mole holes or on the lawn. Although you should be careful where you pour castor oil, as it may keep grass from growing on your lawn, spray or pour it in out-of-the-way places, or in the soil of your yard. Moles do not like the taste of castor oil and will steer clear of it. Purchase mole traps at your local hardware store. Moles may be carriers of diseases--do not handle one with your bare hands. How Can I Get Rid of Moles Mostly in Flower Beds?